Join Vaughn for an hour of powerful business talk from aligning managers with their goals and with their team to creating winning strategies developed by Vaughn with proven results that maximize workplace performance! See how Vaughn can inspire and educate with leadership and management development for you and your business no matter the size! 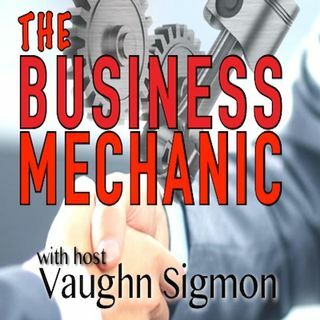 Come listen each week and learn how to boost your productivity with host Vaughn Sigmon as he gets 'under the hood' of your business on The ... See More Business Mechanic!